“Lucy, you got some s’plaining to do!” Not because I am a troublemaker, but actually quite the opposite: People don’t get how I can be so cute, so sweet, and so social. It’s the perfect combination! I take after my T.V. counterpart of course, minus the red hair. 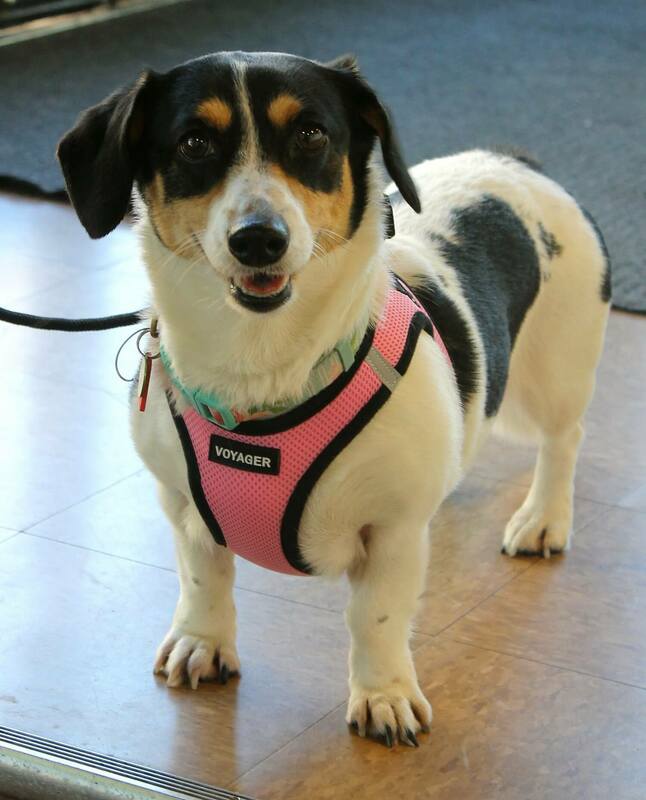 The name is Lucy and I am a 5 year old Doxie/Corgi weighing in at about 21lb. My upbeat personality, hilarious antics, and beautiful eyes make anyone instantly fall in love with me. I mean, everybody loves Lucy, right?! Though I do enjoy being around my human pals over 15, I am even more interested in being around my doggy pals. I just love to be silly and play all day with them. 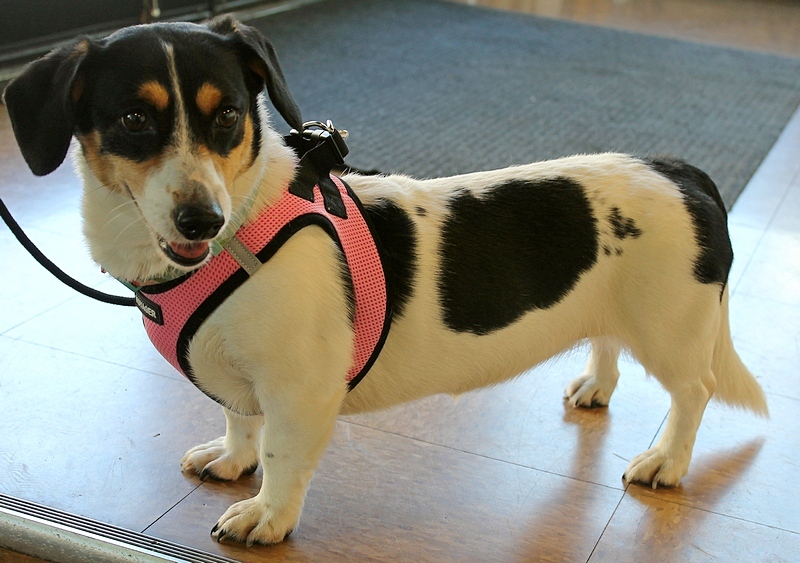 In fact, another doggy in the home would really help me boost my confidence and would be way more fun for me! I still like to play with human friends too, and really love those squeaker toy. There is this big squishy ball, and oh is that my favorite toy to chase down! Still working on the drop it part, but I am already getting the hang of it thanks to my Pixie pals and treat motivation of course! Not only am I fast learner, but I am also very food motivated, which makes training super easy for me. I do enjoy going for walks outside, maybe in a bit lower traffic neighborhood down the road. I’m not very much into cuddling yet and am a bit independent in that regard, but I think once I settle in my home, I can see myself cuddling up on the couch next to you. I am so adorable and silly, I bet you are in love already! Fill out an application today, so we can meet! I come to you vaccinated, micro-chipped, spayed with an adoption fee of $350.